The experience of simulation of spaceships and VR more exciting. 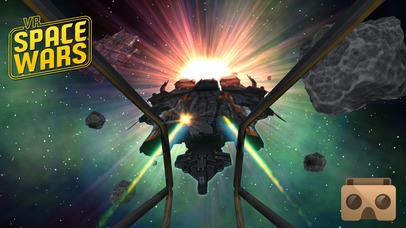 VR Space Wars is a first person virtual reality arcade, designed for virtual reality glasses. Enjoy one of the most immersive experiences ever. A 360 degree VR war that you can play with your VR glasses. Use the gyroscope of another mobile device to control and shoot your spaceship. The most innovative game of spacecraft simulation. Play and pilot as if you had the controls of a ship in your hands! * 1 will be the joystick. * 2 Put it in your glasses of Virtual Reality, and enjoy the VR simulation. • Intensive VR experience and simulation. • Control your spaceship with another mobile device, (phone, Tablet), increasing the realism of flying a ship. • Infinite waves of enemies. • Designed for VR glasses, and any compatible device. Enthusiasts of airplanes and simulation games, sharpen your skills and dexterity with VR Space War, flying a spaceship had never been so real. On the one hand, feel the driving in first person and with a 360º vision, as if you were inside a ship. For another it adds to the simulation of the joystick! 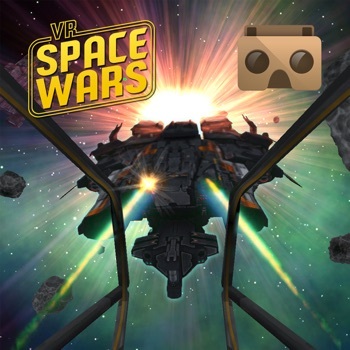 Immerse yourself in this unique experience, the most authentic flight simulation comes in this 2017 with VR Space War! Download this app on 2 devices for free, and experience the new simulation and VR experience!